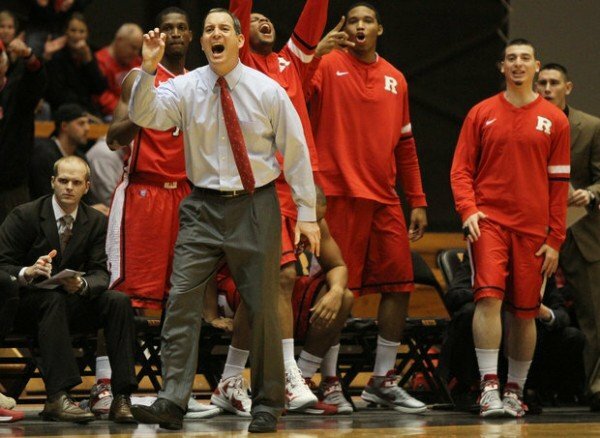 Rutgers University in New Jersey has bowed to pressure to sack its head basketball coach Mike Rice over footage of him physically abusing players and screaming homophobic slurs. The dismissal of basketball coach Mike Rice from Rutgers University was effective immediately, a college spokesman said. New Jersey Governor Chris Christie and NBA star LeBron James were among those who condemned Mike Rice’s conduct. Mike Rice apologized on Wednesday, saying there was no excuse for his actions captured on video. He was recruited in 2010 to be head basketball coach at Rutgers, which finished last season near the bottom of their league, the prestigious Big East Conference. “I’ve let so many people down: my players, my administration, Rutgers University, the fans,” Mike Rice told ABC News in an interview outside his home on Wednesday. Featuring clips shot between 2010 and 2012, the video aired on sports network ESPN shows Mike Rice shouting obscenities, hurling balls at team members, as well as kicking and grabbing them. Rutgers athletic director Tim Pernetti reportedly viewed the footage late last year. The university then suspended Mike Rice for three games, fined him $75,000 and ordered him to attend anger management classes. Robert Barchi added that the video revealed a “chronic and pervasive pattern of disturbing behavior”, which led to his dismissal. The decision to fire Mike Rice comes amid mounting pressure at both state and national level for the university to take action. Governor Chris Christie said in a statement that he was “deeply disturbed” by the footage. “This was a regrettable episode for the university, but I completely support the decision to remove Coach Rice,” he said. New Jersey Assembly Speaker Sheila Oliver said the coach’s conduct was “unbecoming of our state”. Sheila Oliver called for an investigation into why Rutgers decided not to fire Mike Rice when it first became aware of the video. Athletic director Tim Pernetti apologized for not taking more robust action when the footage first came to his attention. “I am responsible for the decision to attempt a rehabilitation of Coach Rice,” he said in a written statement.